Thank you from the bottom of my heart for helping me find the perfect wedding dress! From start to finish, the entire team was a dream to work with. You make me feel so special and I never worried about anything. My dress and bridesmaid dresses were everything I had hoped for and so much more. Thank you. I cannot thank you enough for the great experience I had at your shop. From the moment we entered your store, I was made to feel so special. The knowledge and care of your staff helped to find me the dress of my dreams. Thank you for all of your patience and expertise throughout the months we worked together. My experience could not have been better! You have made my dress finding experience one of my favourite parts of wedding planning. The day I said yes to my dress surrounded by my favourite ladies was a total fairytale. Your kindess and patience made me feel so welcome in your beautiful shop. You knew just how to help me find the magic in the dress. Thank you a million times. To the wonderful ladies at With Love. Thank you so much for helping me find the dress of my dreams. The entire process was incredibly personal and comfortable and I am so happy I came back to Ottawa for that special experience. I can’t thank you enough for making me feel so special. With Love Bridal Boutique was amazing to deal with, from start to finish. They made finding my wedding dress, the most amazing and special experience. I found all my accessories through them, and my bridesmaids as well. Alterations were completed to perfection – and every single staff member was an absolute pleasure to deal with. 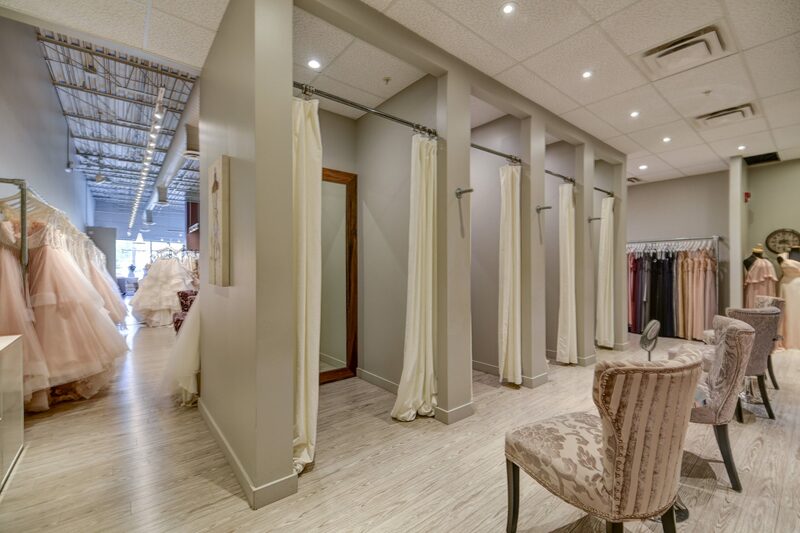 I would not recommend any other place to find the perfect wedding dress, the selection is outstanding and the experience alone is more than I could have ever imagined.